Candra Reeves is pursuing a Master’s in Public Policy with a concentration in social justice policy. Candra is the President of the School of Public Affairs Graduate Student Council. Prior to serving as President, Candra served as the Master of Public Policy (MPP) Representative for the Graduate Student Council, where she worked to represent the interests of the MPP students and learned how to better serve the constituency. Candra graduated with a Bachelor’s of Arts degree in Sociology from the University of Georgia, Athens. After graduating, she went on to pursue her first Master’s degree in Criminal Justice from the University of Cincinnati. Prior to joining American University, Candra worked as a Jr. Research Associate at the University of Cincinnati Corrections Institute (UCCI). At UCCI, Candra worked with various agencies around the country to disseminate evidence-based practices to ameliorate offender behavior in the reentry setting for adult and youth that were incarcerated or detained. Candra also managed two projects for statewide evaluation- the Community Corrections Act of Ohio and the Ohio Department of Youth Services Competitive RECLAIM Grant. 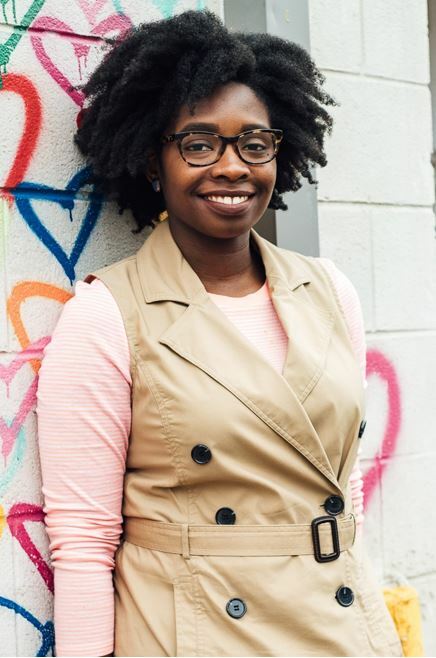 During her time in Cincinnati, Candra volunteered at different organizations including Power Inspiring Progress as a volunteer tutor, Guiding Light Mentoring as a mentor, Mayor John Cranley’s Young Professional Kitchen Cabinet, and Princess Ballet as a volunteer ballet instructor. In her spare time, Candra is a fashion blogger, avid reader and runner, and a self-proclaimed foodie. Candra is passionate about criminal justice reform in a holistic, multidisciplinary approach and is excited to welcome SPA students and to continue to advocate for the needs of the SPA community.